Inventory We are a resale marketplace, not a box office or venue. Ticket prices may exceed face value. This site is not owned by Shubert Theater New Haven . The Shubert Theatre New Haven opened over 100 years ago back in 1914 by the Shubert Organization. 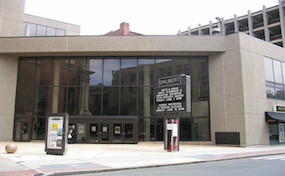 The Shubert Theatre box office is located at 247 College Street in New Haven, Connecticut. The venue currently has a seating capacity of 1,600. Known as the “Birthplace of the Nation’s Greatest Hits” for the high number of pre-Broadway tryouts, as well as new world premieres. The last major renovation occurred in 1976 and some of the most popular recent Shubert Theatre tickets have included smash hits like Book Of Mormon and Elf The Musical. Shubert.TheatreNewHaven.com is a privately owned and operated company that operates exclusively in the secondary resale marketplace. We are not affiliated with any primary website, venue, and or box office. Ticket prices on our sites tend to be above face value and will fluctuate quickly with demand. To order tickets for all Shubert Theatre New Haven events please follow the steps online through the checkout.